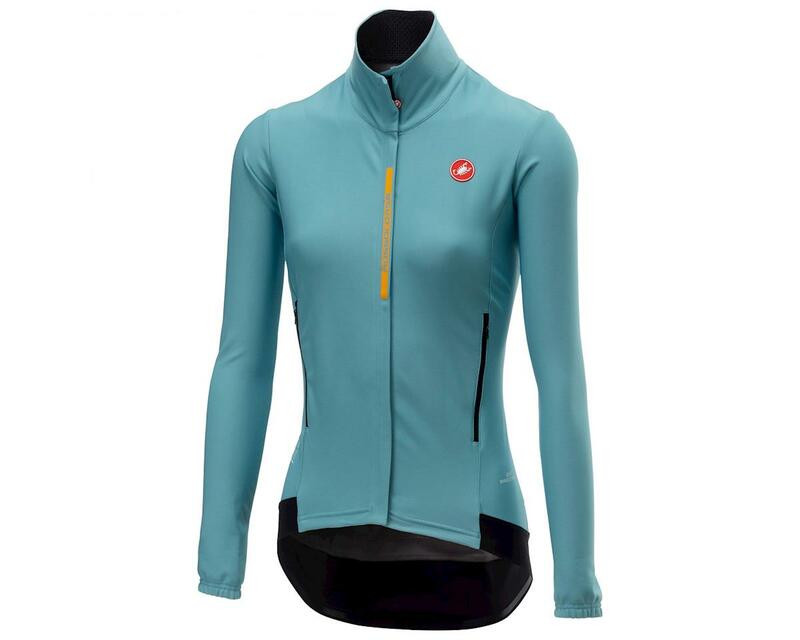 Perfect for cold and humid days, the Castelli Women's Perfetto Long Sleeve Jacket provides significant protection from windy, wet conditions and performs exceptionally well in dry conditions, all while staying very aerodynamic. Windstopper X-Lite Plus fabric with improved DWR finish is windproof, water-resistant and offers unprecedented stretch and breathability. Nano Flex fabric inserts retain warmth and shed water. Fit is further refined to give streamlined performance and silicone gripper hem stays put. Storm-flap protects the lower back from the elements, plus it lies flatter and fits better. Reflective logo on center pocket increases visibility in low light and three back pockets have laser-cut holes to improve drainage.